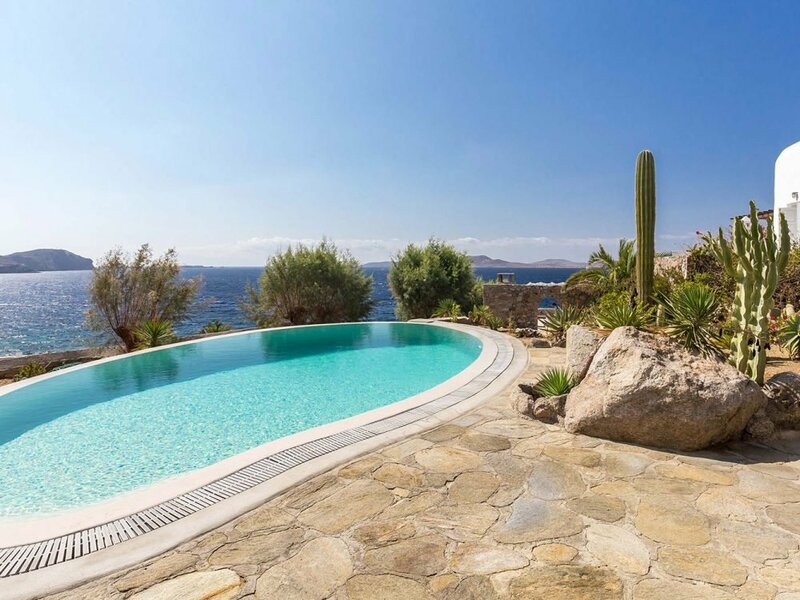 Villa Alisahnea is a stunning waterfront property, just few steps away from the secluded Kapari sandy beach with open views of the sea and the magical sunsets of Delos island. 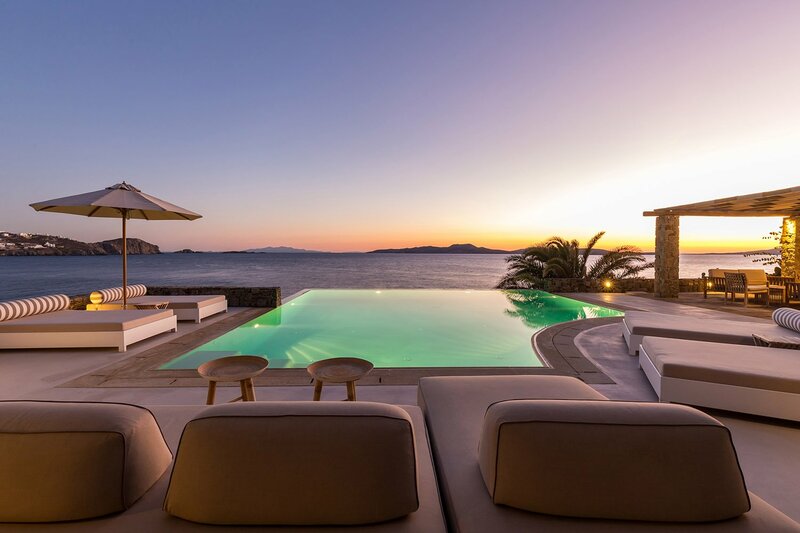 Villa Okyroe is an example of Greek elegance and sophistication, a stunning private seafront property located between villa Alisahnea and villa Kymothoe, with its own infinity swimming pool and private outdoors, walking distance to the secluded yet gorgeous Kapari Beach. 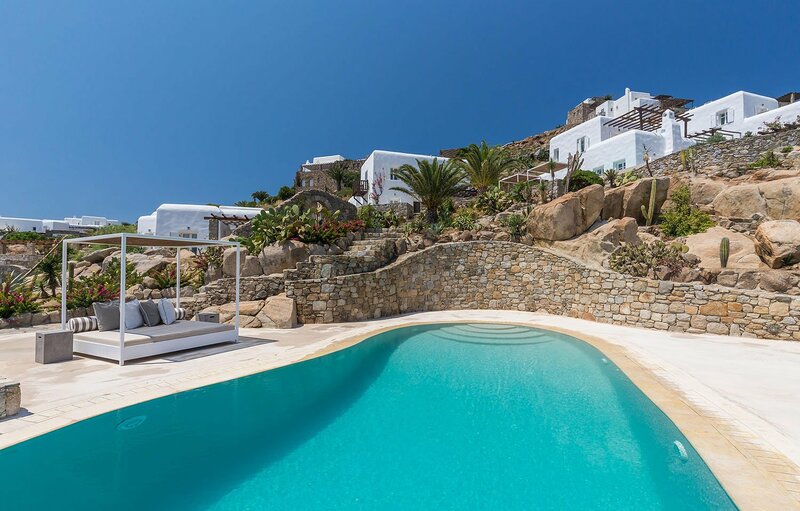 Villa Kymothoe located next to villa Okyroe, is a spacious waterfront villa with a stunning private infinity swimming pool, garden and outdoor surroundings perfect for sunbathing and recreation. 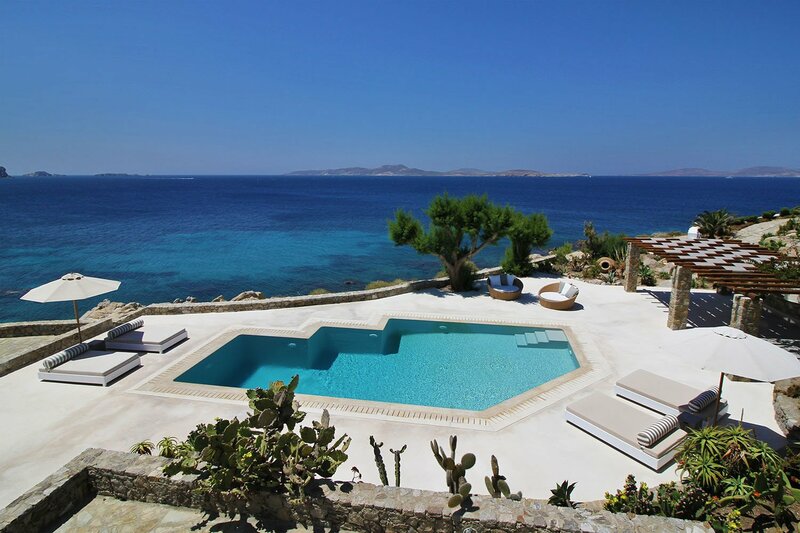 The villa is located within walking distance of the secluded Kapari sandy beach overlooking Delos island. Villa Neptunea is the perfect family getaway with its waterfront location conveniently placed between the beaches of Kapari and Agios Ioannis. 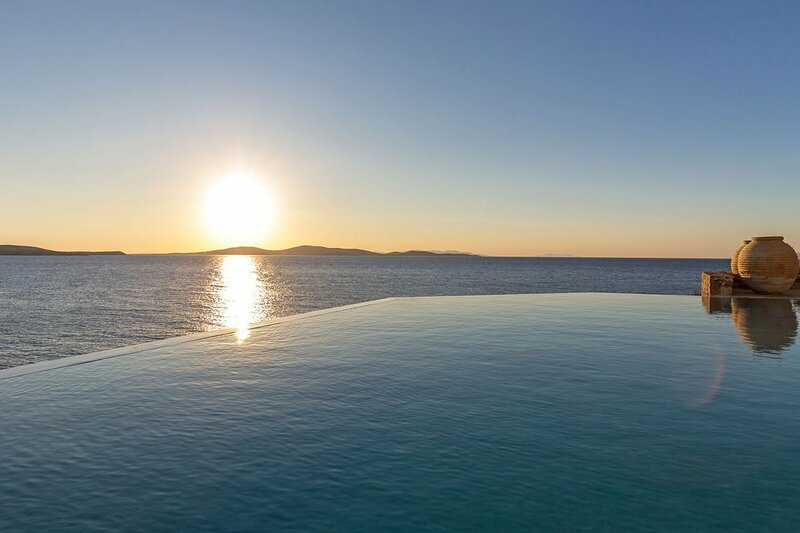 Its extensive pool terrace boasts views stretching out over the Aegean Sea all the way to the neighbouring islands of Delos and Rhenia, daily blessed by the colourful sunsets. Kerethium & Astarte enjoy a slightly elevated location just above their sister villa Neptunea, allowing both for stunning views over Delos and deserved privacy. Adding on to this great set-up, the vicinity to the sandy beaches of Kapari and Agios Ioannis – a truly best of both worlds duo. 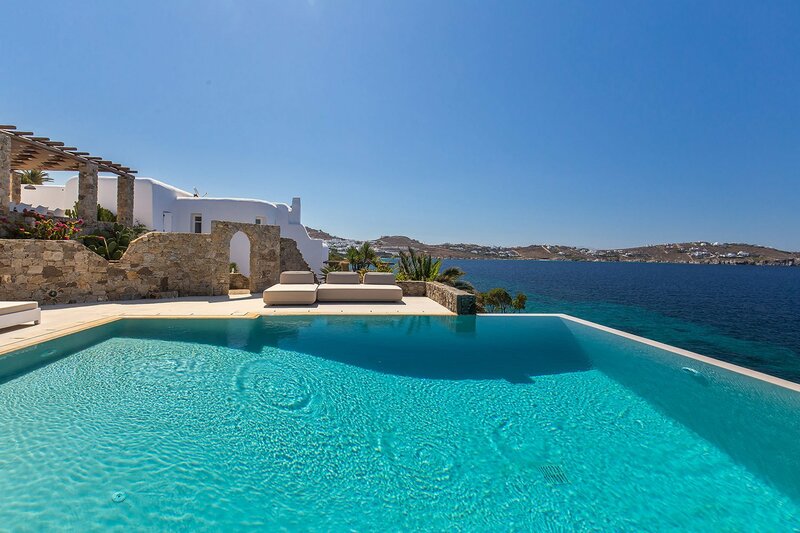 Tucked away just behind its sister villa Astarte, Villa Nautilos enjoys a good level of privacy and wind-sheltering. All within a brief walk from the family-friendly beach of Agios Ioannis and the secludedness of Kapari beach, with views stretching out to the former.